London, UK, Oslo, Norway and New York, NY, 27th November 2018: TVH, the global supplier of parts and accessories for material handling and industrial equipment, has selected Confirmit to support the implementation of its new worldwide Voice of the Customer (VoC) programme. The programme, which focuses on the TVH Parts business, underpins TVH’s corporate mission to drive excellence in customer relationships. It will be delivered as part of a three-year deal with Confirmit. 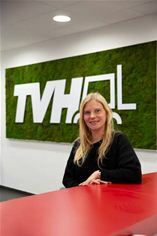 Silke Verfaillie, Business Project Manager at TVH, explained: “Our decision to create a global VoC programme is the result of our corporate initiative to improve the customer experience (CX). TVH is committed to better managing our customer practices and matching our performance with changing customer demands. TVH’s dedicated CX Team will manage the programme, using it to gain a robust and detailed understanding of the customer experience. This will drive the business to become more customer-centric across every process. TVH Parts Holding is an international organisation with customers in more than 170 countries and 72 branches on all continents. Its main office is located in Waregem, Belgium. Furthermore, there are two regional main offices: one in Kansas (US) serving the American market and one in Hermalle (Belgium) for Bepco Group. TVH Parts is the one-stop shop for material handling, industrial and agricultural equipment parts and accessories. The unequalled know-how of TVH's parts division is reflected by a database of more than 37,000,000 article numbers, of which well over 750, 000 references are in stock. TVH Parts’ electronics department is Europe’s largest and best equipped service centre for the repair of electronic parts for lift trucks, aerial work platforms and industrial vehicles. TVH Parts is part of TVH Group. TVH Group was established in 1969, employs more than 6000 people and consists of 2 business units: TVH Parts Holding and mateco Holding.